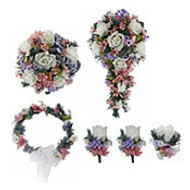 It looks like it's fresh from the garden, but will never lose its luster. Two dozen pink silk roses held together with elegant sheer ribbon, adorned with a large, shimmering bow. 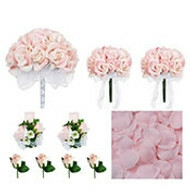 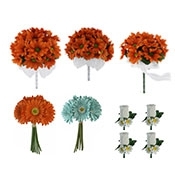 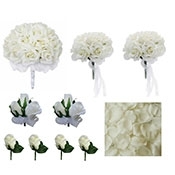 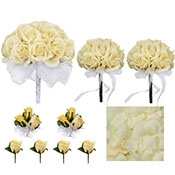 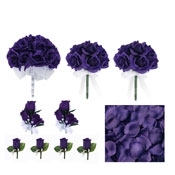 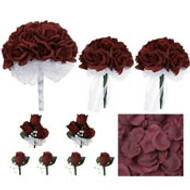 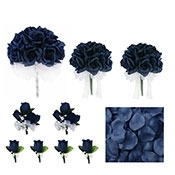 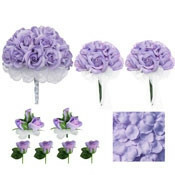 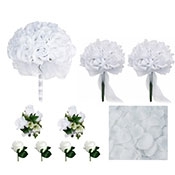 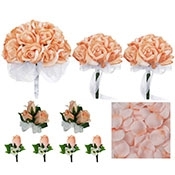 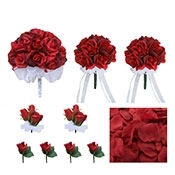 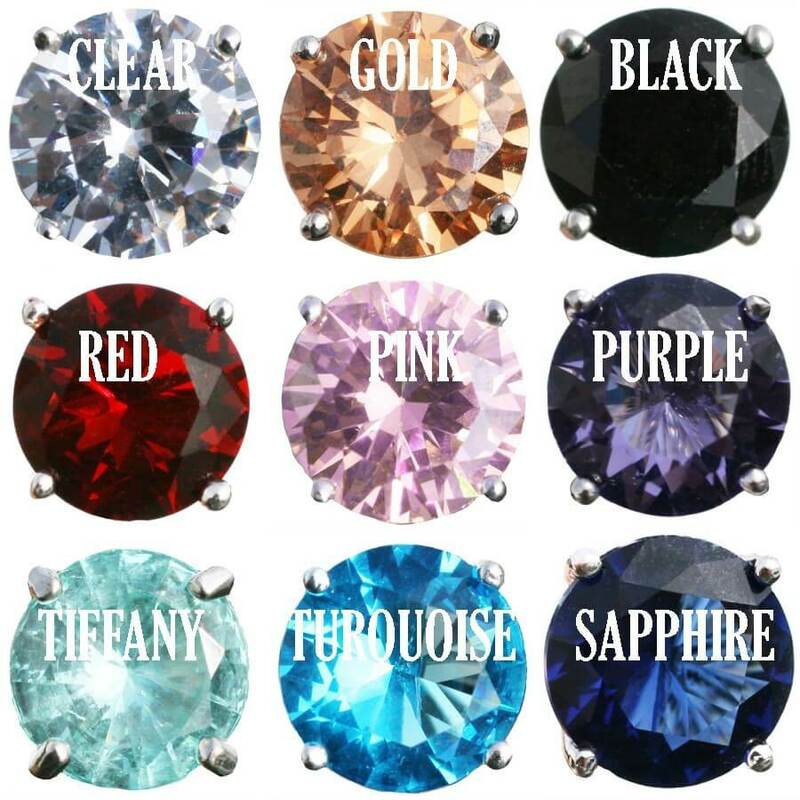 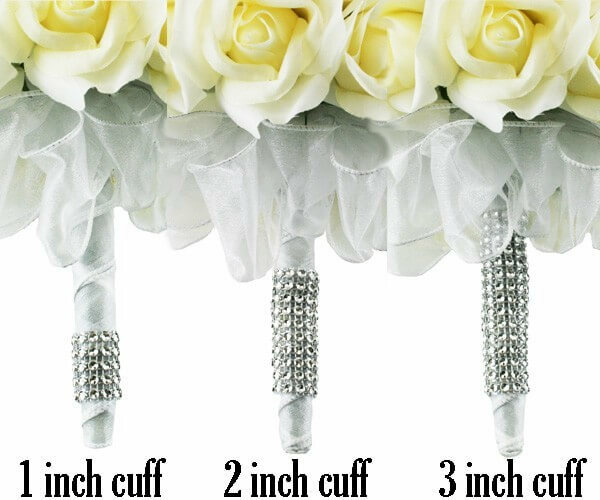 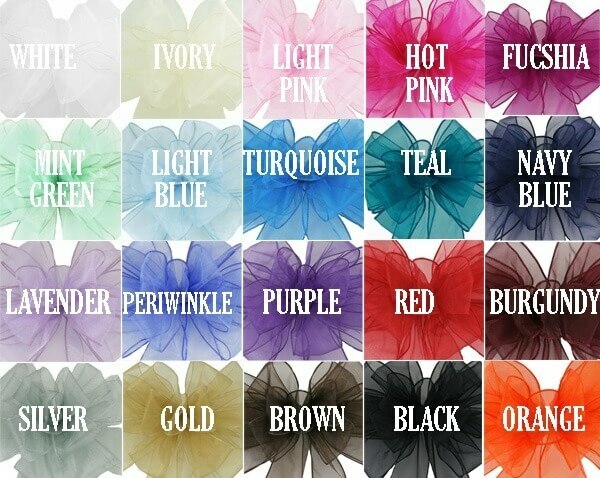 These hand ties make magnificent bouquets for bridesmaids and can be given away as keepsakes that will help make your wedding day even more memorable for those close friends and relatives that participated in the ceremony. No matter what the weather does you can be confident that your bouquet will hold up and make you look great.